Lucifer is coming to Netflix, and judging by the reaction to the just-released Season 4 teaser, fans are…um, pretty happy. We’re sure a good part of that is due to the series being saved by the streaming service after Fox canceled it following a third season. That’s clearly the ONLY reason people are excited by this teaser. Clearly. Along with proof that Tom Ellis is the most heavenly devil ever to grace the stream, the teaser also reveals the season premiere date—May 8th. And yes, all episodes will be available for streaming that day, just like with most other Netflix shows. 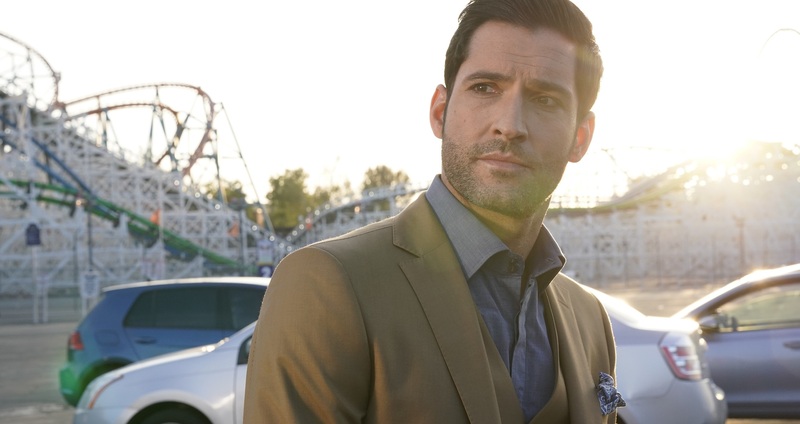 We don’t know that much about Lucifer’s latest season yet, though if you remember, Season 3 ended with the ever-skeptical Chloe Sullivan finally seeing Lucifer’s “devil face.” How that will change the way she views her unofficial partner—and the almost-romance that’s growing between them—remains to be seen. Season 4 will also introduce Inbar Lavi as Eve, the world’s first sinner, as well as Vinessa Vidotto as Lucifer’s sister Remiel. Also joining the cast is Preacher’s Graham McTavish as Father Kinley (presumably no relation to the Saint of Killers). According to an interview with TVLine, Lucifer’s fourth season will encompass what would have been the first half of the show’s original fourth season—keep in mind that Netflix seasons are usually much shorter than most regular season network shows. So, what do you think, Lucifans? You excited to once again cheer on the devil? Make no mistake, regardless of where it airs, Lucifer is a DCTV show, so expect regular coverage of it here on DCComics.com when it returns on May 8th!